Elaine Louise (Scherer) Kes, age 87, passed away at Cambridge Medical Center on the night of Saturday, April 6, 2019. She was born in Shakopee, MN in 1931. 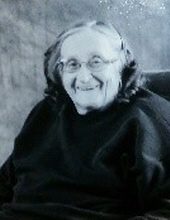 Elaine attended Shakopee public schools and graduated in 1949. Elaine married Frank Kes in 1954, and the couple had 1 child, Stephen Kes. They lived in Shakopee for many years. In the 1970’s the family moved to Prior Lake, MN where Elaine resided until her health deteriorated and she could no longer live alone. Elaine worked as a Secretary for Jasper’s Law Office for some years but was a homemaker for most of her life. She had a great love for nature & wildlife, and she had many pets over the years. Elaine spoke fondly of neighborhood and family memories made over the years, and she missed those days gone by. She didn’t miss the city of Prior Lakes’ self-serving underhanded antics that she contended with over the years. In 2015 Elaine moved to Gracewood Sr Living (now Bickford) in North Branch, MN, and in late March 2019 she moved to Walker Methodist Levande’ in memory care. She was very well known for her cheeky sense of humor in her later years. The family extends a very special note of thanks to everyone who cared for Elaine at both facilities. She is survived by her son, Stephen Kes (Monique); grandson, Brandon Kes (special friend-Ashley); and many brothers-in-law & sisters-in-law, nieces & nephews. Elaine was preceded in death by her loving husband of nearly 60 years, Frank Kes; brother, Robert Scherer; sister-in-law, Mary Scherer; nephew, Dan Scherer; and her parents, Hazel & Harvey Scherer. No services will be held in accordance of Elaine's wish. To send flowers or a remembrance gift to the family of Elaine L. Kes, please visit our Tribute Store. "Email Address" would like to share the life celebration of Elaine L. Kes. Click on the "link" to go to share a favorite memory or leave a condolence message for the family.